This is an Endorsed Certificate in Logistics Management. 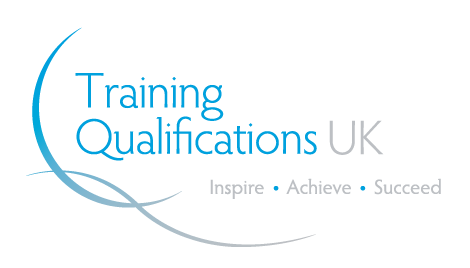 Learner will get Endorsed Certificate from an Ofqual regulated awarding organisation. Supply chain and Logistic management is the requirement of Industry in the 21st Century. Improve your qualifications and skill level with Inspire London College’s Logistics Management Course. In the modern business world, the demand for Logistics Management and Supply Chain Management is increasing at a faster rate. Modern Organisations are hiring individuals having professional Certification in Logistics Management or Supply Chain Management. Inspire London College offers the individuals a golden opportunity to learn the new evolving trends of logistics with Logistics Management course. The course is prepared under the supervision of highly skilled professionals that will provide better insight knowledge of the logistics world. Inspire London College’s management and teaching staff will be there for your assistance for 24 hours a day and 7 days a week. After enrolling for this course you will get access to our Virtual Learning Environment (VLE) /Moodle and all the study materials and assessments will be available at VLE/Moodle. How to select an inventory control system for logistics operations? How to establish a logistics design within an organisation? The Certificate in Logistics Management includes four mandatory units. The overall course is of 40 credit hours Endorsed Certificate and its guided learning hours (GLH) are 160 hours. Following units are included in the Logistics Management Certificate. Upon successful completion of the Certificate in Logistics Management, learner needs to pay for an Endorsed Certificate from an Ofqual regulated awarding organisation or from Inspire London College (PDF format only). Logistics Management Course has been designed for a variety of audience interested in exploring the world of logistics. The individuals having a keen interest in logistics management or supply chain management are the primary focus for this course. The employees already working in the organisation and want to improve their existing skills, knowledge and position are also advised to take this course. Individuals want to improve their qualifications and their CV’s for getting a better job in the field of Logistics and supply chain management. There is no formal entry requirement for Certificate in Logistics Management Course. Learners pursuing to enrol for this course should meet the following conditions. Can I learn about how shipping companies operate with this course. New career opportunities. Thank you.